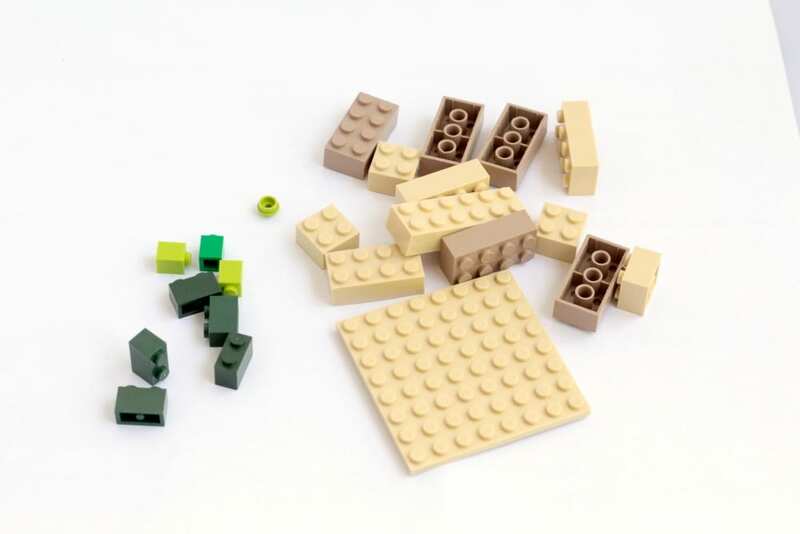 Even though LEGO makes (expensive) Minecraft LEGO sets, there is something a bit magical about creating it for yourself out of bricks you already own. 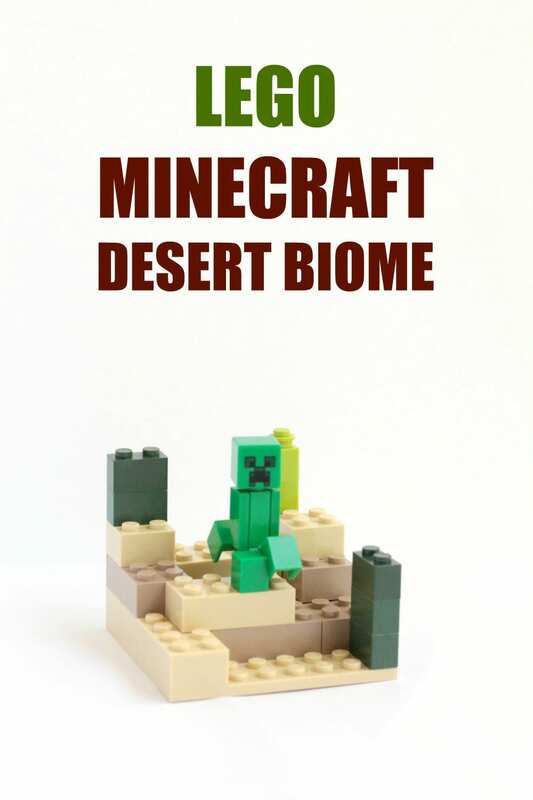 If you put in a little time and effort, the handmade Minecraft desert biome would make a great gift for a LEGO-loving kid! 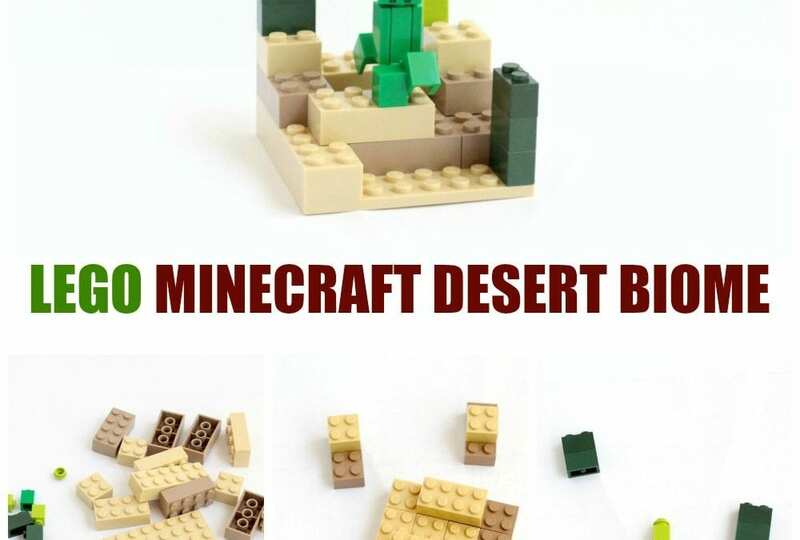 Kids will love building their very own desert biome that they can show off to friends and family when they get together. There is almost no end to the types of charms you can make with these bracelets. You could make a bracelet filled with the building blocks of Minecraft, or you could make animal faces, or people faces. For this bracelet, we decided to make a pig, Alex, and a creeper. The first thing to remember when building a Minecraft biome is that everything in the Minecraft world is square. 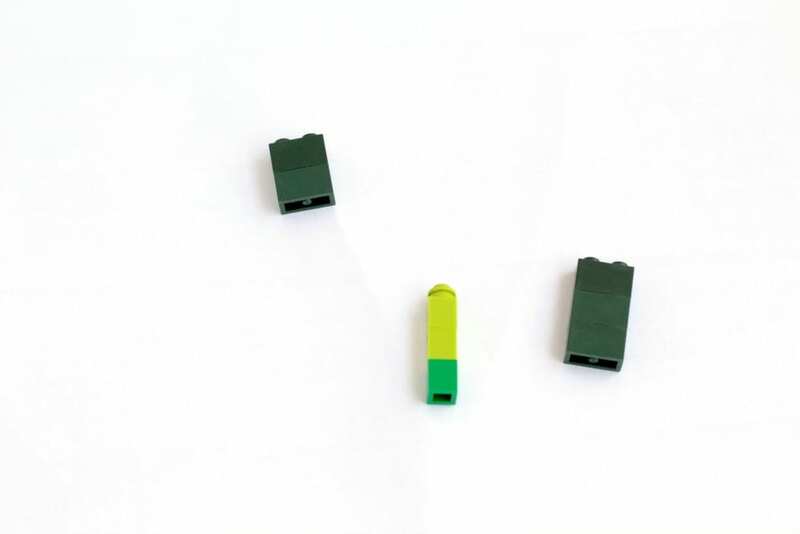 Don’t use any LEGOs that have curves or that have a shape that isn’t square. 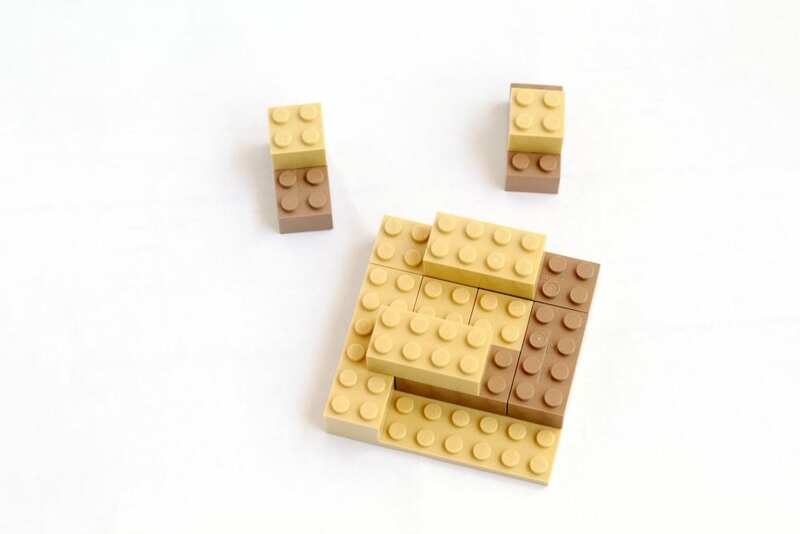 LEGOS themselves are usually built around a square shape, which makes them perfect for using to make biomes. Start by picking out a tan base. 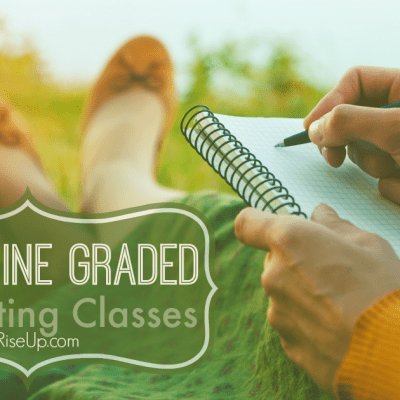 If you have a square tan base, that’s best, but if not, you can work with a rectangle. Think about how the Minecraft biomes are set up. 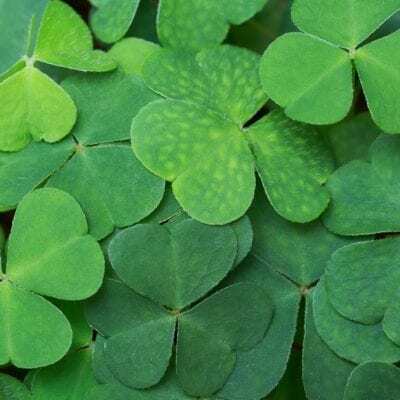 They usually have a flat area surrounded by hills of some kind, even in the desert biome. The is little else than sand and creeps in the desert, which means most of your bricks should be tan. Stack your bricks in a square pattern, leaving variation between layers for a more realistic effect. 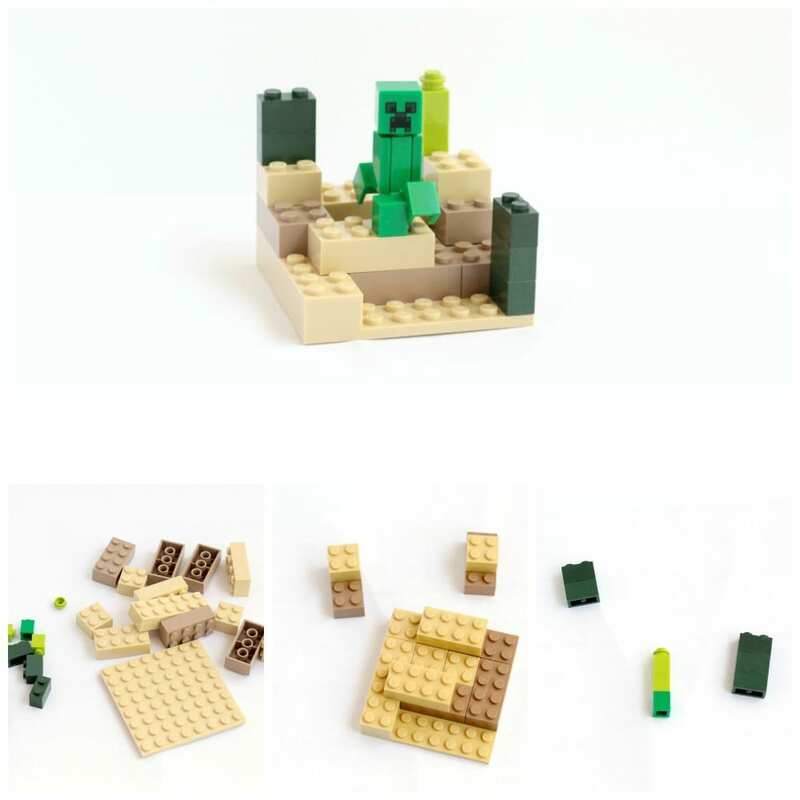 When you’re done with the desert itself, use the green blocks to make little cacti that are present in the Minecraft desert biome. 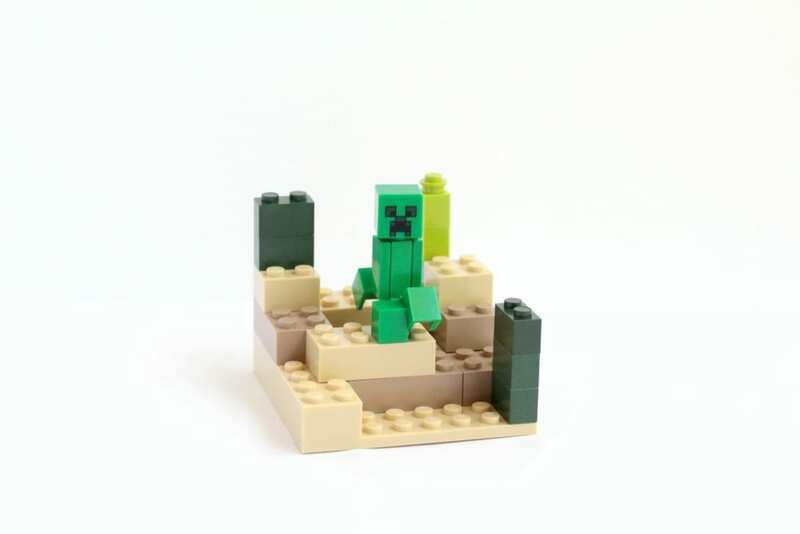 If you have a real LEGO Minecraft set on hand, you might have a few Minecraft creeps that you can add to your desert biome. We had a little creeper, so I added it to the biome for further Minecraft realism.